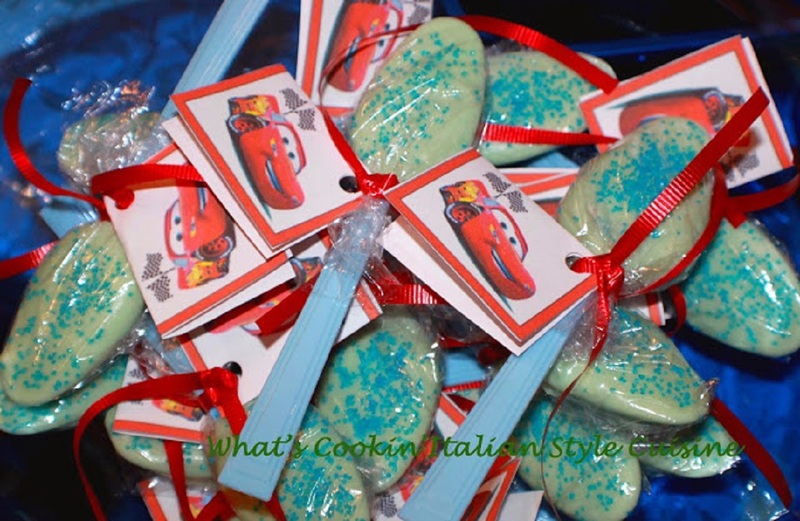 for gift giving, party favors and much more by making these! These may be the new Cookie Pop! I loved making these more! (Psst, oh I must confess I am actually not a fan of cookie pops at all. 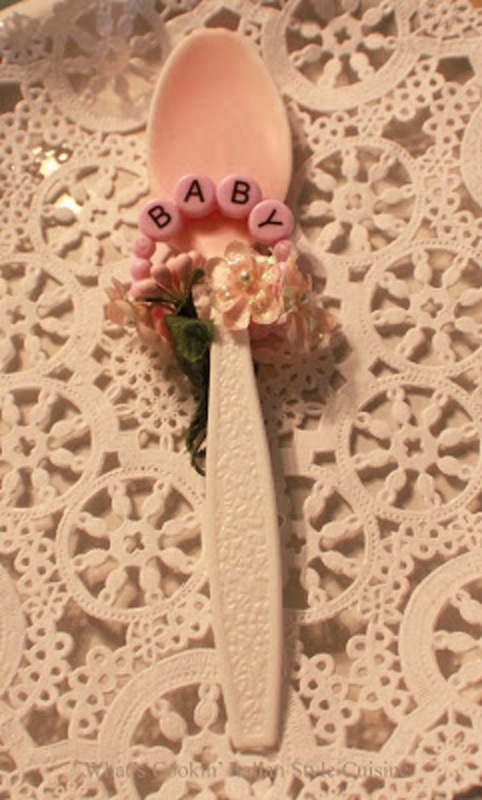 So these win hands down, fun, exciting to see everyone adore their individual personalized party spoons and they really did put a smile on everyones face! delightful treats ahead and the kids will love them too! Melt chocolate to directions on the package. At this point if you want to use a filling, add to the center of the spoon. Dip the spoon one at a time into the melted chocolate. Coat the spoon just to the bottom end of the spoon edge. Shake gently to remove excess. Place on a parchment paper coated cookie sheet and place in the refrigerator until set around 20 minutes or so. See party and gift giving ideas below or just wrap individually with plastic wrap. Tie with coordinating colored ribbons and tags. You can also use silk small rose or other flowers, use edible glitters with silver or gold ball sugar decorations for Weddings and Showers wrapped in colored cellophane or toole netting. Plastic rings (IE spiders for Halloween, bells for Christmas or Bridal gold and silver rings) that will go around the base of the spoon. You can buy most of these at your local party house stores. 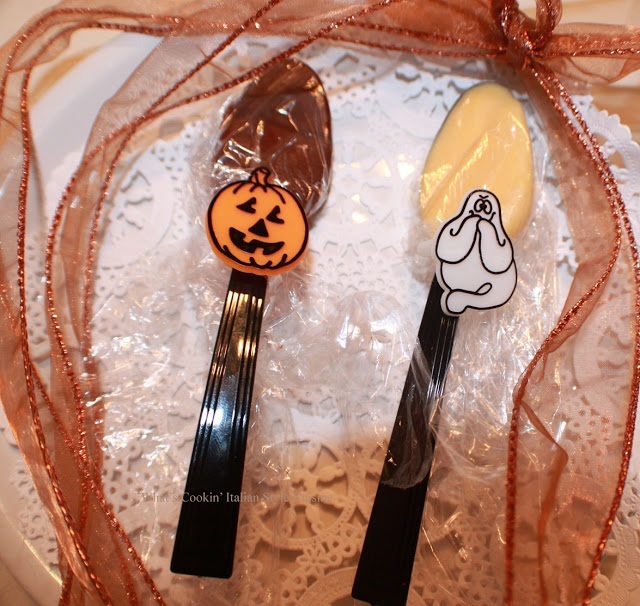 Tips: Decorate your chocolate spoon on top with some Royal Icing using your party themes by using frosting writing tips found in a party store or grocery store. Some ideas to write on them would be special birthday ages, names, it's a boy, it's a girl, special events, Wedding Anniversaries, milestones, holly berries for Christmas, snowman, bells, for Easter bunny and Halloween, pumpkins, spider drawings, ghosts or R.I. P. sayings for Halloween, there are many options. Make sure you dry them completely before wrapping and it is recommended to use a royal icing that hardens quickly. This gift spoon has been filled with hazelnuts mixed with Nutella then dipped in chocolate and wrapped. The gift cup shown contains a package of Hazelnut coffee, one filled dipped spoon and one mini Biscotti cookie package in the bottom. Use the spoons to just dip to stir their coffee, tea or cocoa with for a delicious cup of sweetness! You can even flavor the chocolate with almond extract or other favorite flavoring. Great gifts at work or friends at the office! These were filled with peppermint pattie filling. Use white chocolate melted instead of dark chocolate. Tinted with the theme for the event or party color. Or use a flavored chocolate for Christmas like mint. See other suggestions for filling them below. IDEA: Fill the centers of the spoons with these suggestions first before dipping: fondant, fudge, truffle candy or Nutella, whole nuts, marshmallow fluff before dipping in chocolate for a great gift treat assortment. Any of your favorite candy bars, snickers, mounds, musketeers, milky way, peanut butter cup or use a truffle recipe below to make them extra special. Keep them simple: Spoons dipped in just chocolate unfilled, can be flavored first with any type of extracts you like. What kind of coffee are you pairing it up, tea or hot cocoa? Maybe add some almond extract, cinnamon or peppermint to the chocolate while melting it, depending on who and what it's for. Attach a bag of premix cocoa powder to the handle with ribbons. Make you spoons dipped in cinnamon and chocolate mixed, a delicious combination for cocoa! Attach white baby breath silk flowers to the handle, gold rings and tie with white ribbon for a wedding favors using white chocolate on gold or silver spoons. 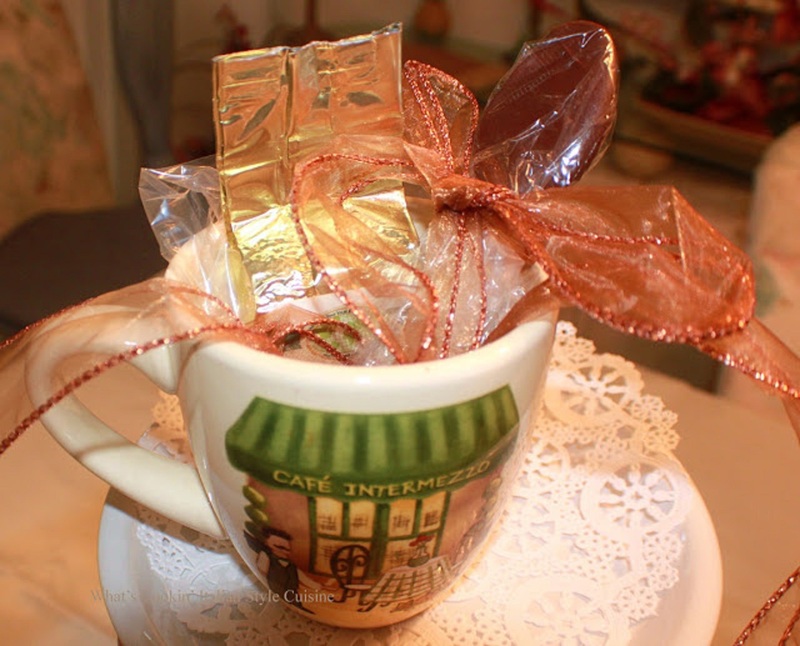 Place the decorated wrapped spoon and place inside coffee cup tied with pretty ribbons and add their favorite packaged, tea, coffee or cocoa. 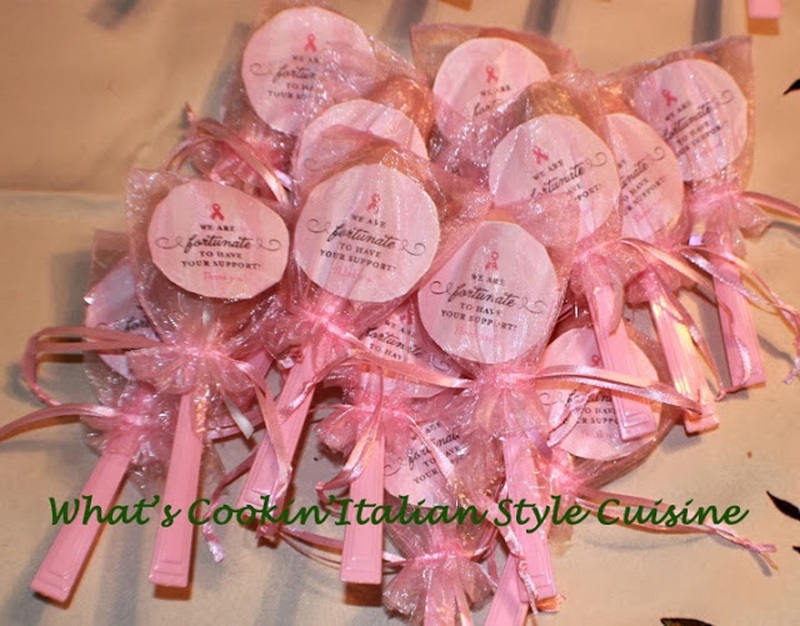 Make them for Charity events to raise money, IE Breast Cancer Awareness Month using the symbol in pink on white dipped spoons. You can make them for any fundraiser event. Hi Pegasuslegend, thanks for sharing this wonderful ideas. It look so pretty and cute. I have seen these spoons for sale but have never thought to make them at home. What a great gift giving idea. Enjoy the rest of your weekend. Claudia you've made your spoons to look so creative and festive. 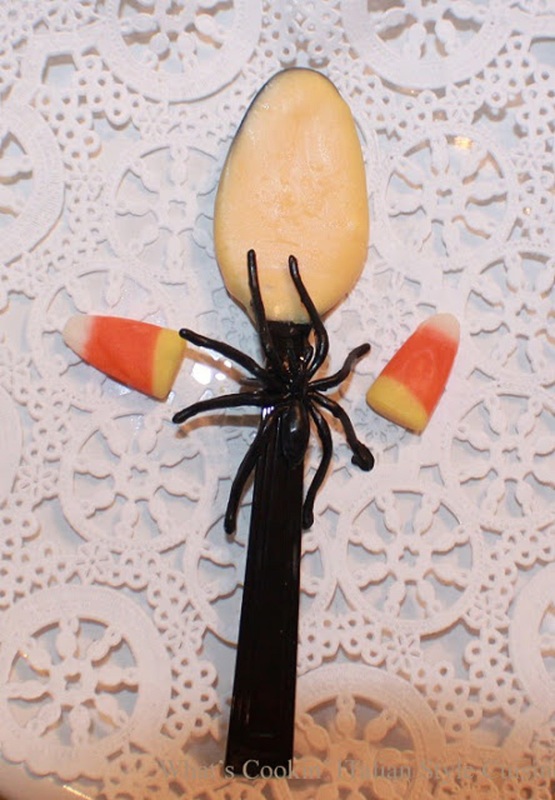 I love chocolate dipped spoons and yours are darling. Your gift ideas are wonderful and perfect for the upcoming holidays. Your gift ideas are wonderful! LOL You did have fun, Claudia. How clever and they are so cute! these are cute! I like them very much. There is always a new invention.. a yummy one in this case. These are awesome! I've seen these at parties in the past and had forgotten about them. Great idea! PS...congrats on the new car!!! So beautiful and outstanding gifts!